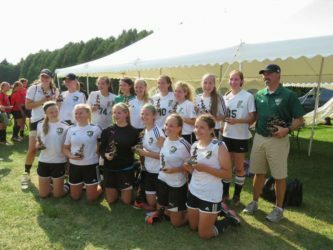 For the love of soccer, the Addison United Soccer Club (AUSC) is a non-profit, volunteer organization committed to providing boys and girls 7-19 with a positive soccer experience. Our program is focused on good playing habits, skill progression, and the development of youth soccer for anyone who loves the game. Our coaching staff is dedicated to honing player skills while recognizing individual needs and assisting player development from U8-U18. 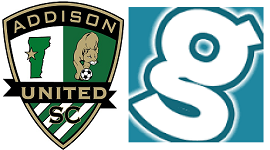 AUSC is affiliated with Addison County, Vermont Soccer Association (VSA), United States Youth Soccer Association (USYSA), and the Federation Internationale de Football Association (FIFA). Like us on Facebook and Twitter for more updates and community sharing. Register U8 – U10 players before April 1st! ***Local teams: Vergennes, Middlebury, and Bristol. Minimal travel for games. 2019 CLUB Season Meeting (required) for all U12-U19 players and parents is Sunday, March 3rd, 3-5 PM, in the VUHS Auditorium. No Sunday practice. Thanks to last season’s fundraiser, AU was able to provide 12 scholarships to players for the 2019 season, totaling $5,364. AU Board members donated $1,250 of their stipends. A big thanks to the Addison United community for making it possible for all that love soccer, can play soccer!